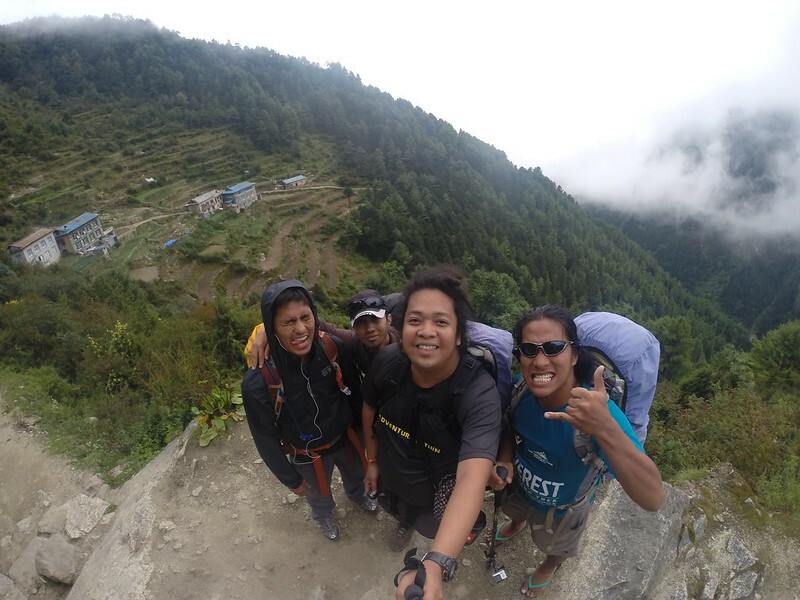 EBC Day 2: Phakding to Namche Bazaar | Where Have You Been Lately? When I woke up the next day, I no longer was feeling the headache that ruined my night in Phakding. I felt so much relief knowing that it wasn’t altitude mountain sickness or AMS that struck me the day before. Yipee! No one’s gonna send me back home! Hello, Everest Base Camp trek Day 2. I’m so ready for you. In my next posts, I’ll talk about altitude mountain sickness—its definition, tips on how to avoid it, and why we are so scared of it. I had another set of continental breakfast, which I again failed to finish not because I didn’t like it but the serving was just too much for what I could intake. We had our bottles refilled with drop-treated water, then day 2 (D2) trekking officially began. 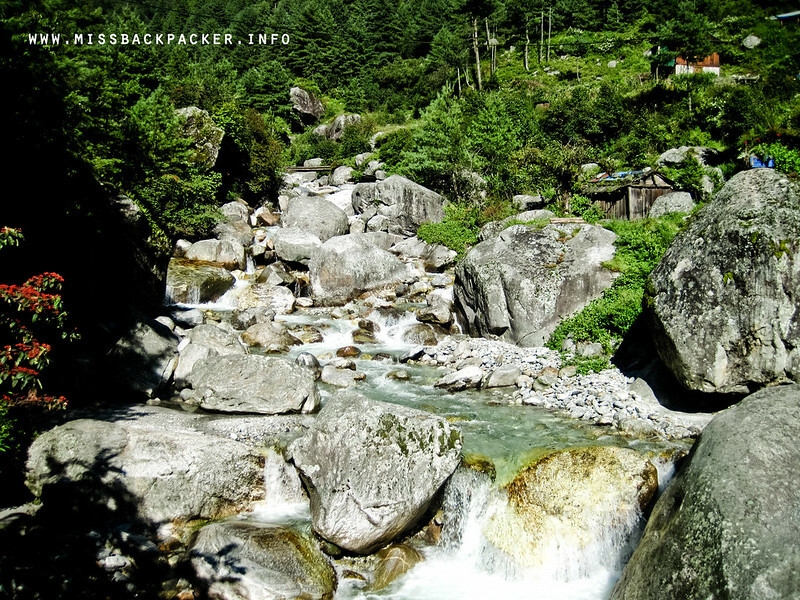 Morning view of Dudh Kosi River along the trail to Toktok. We were told that D2 would be more challenging than D1. 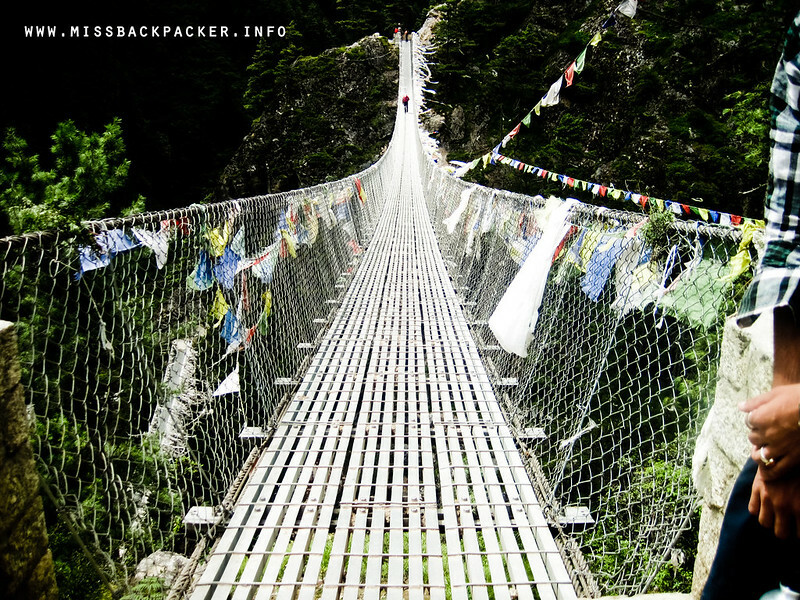 From 2610 MASL, we would be passing six suspension bridges and would be hiking to Namche Bazaar with an elevation of 3440 MASL. That’s an 830-meter gain. If we were in the Philippines, 830 meters is just like climbing Batulao. But since we’re in the Himalayas, this supposed short hike could get really demanding. This is just a small stream. On the other side of the trails are where the big raging rivers are located. 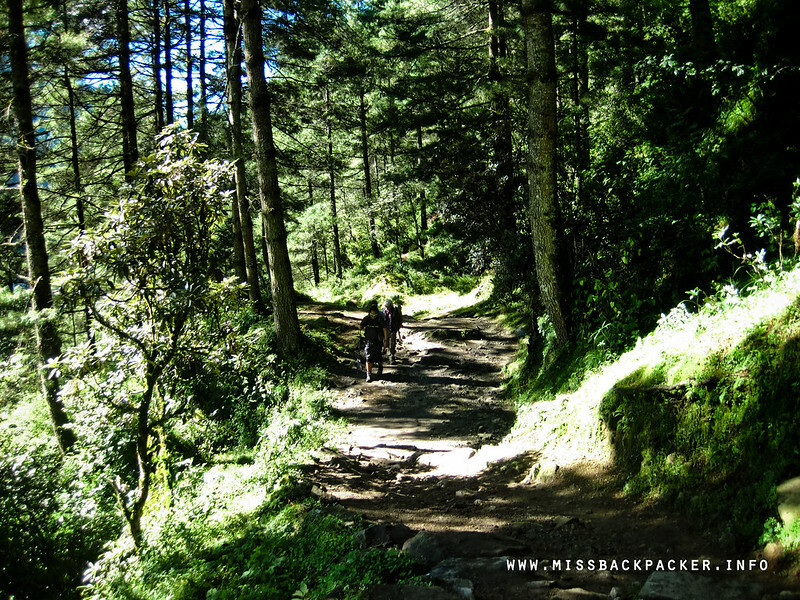 The first hours of the trek were okay since the trails were quite flat, pretty much the same with the trails from Sinuwa to Bamboo in the Annapurna region. At this point of D2, we were still able to keep our energy at high level because of the great weather, the marvelous views of rice paddies, raging river, passing hoards of yaks and zopkios, and the easy trails. 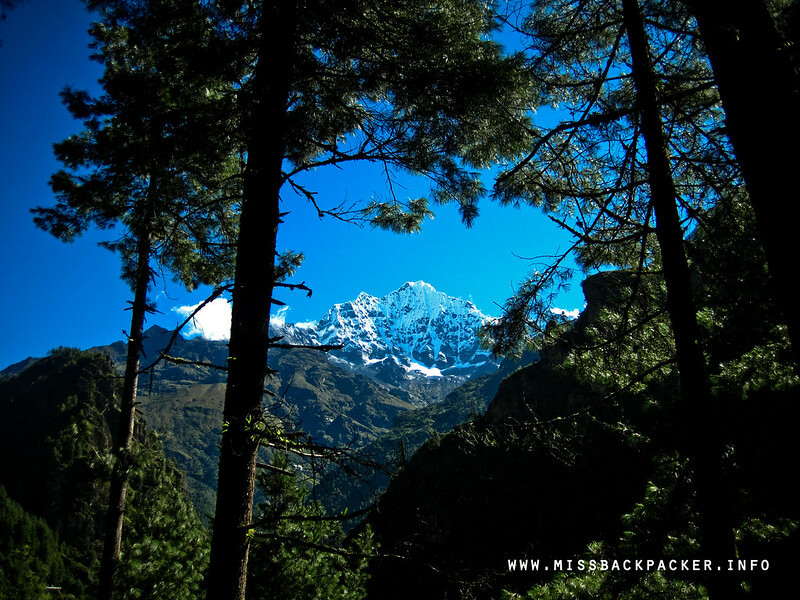 We would greet all the trekkers we meet along the way with the universal hello in Nepali trails, Namaste. If all trails in the world are like this, it’s heaven. This was also the point when we had our first real view of the snow mountains. We’ve already had our first taste of snow-capped mountains during our Annapurna trek and watching Doc Rhoda who was in plain awe of the surroundings was reminiscent of how we looked like last year. We were even teasing her that there might not be enough space on her camera’s memory card because she took a lot, by that, I mean a lot of photos at this part of the trail. Innocently funny. Lookie! Here comes the snow mountains! 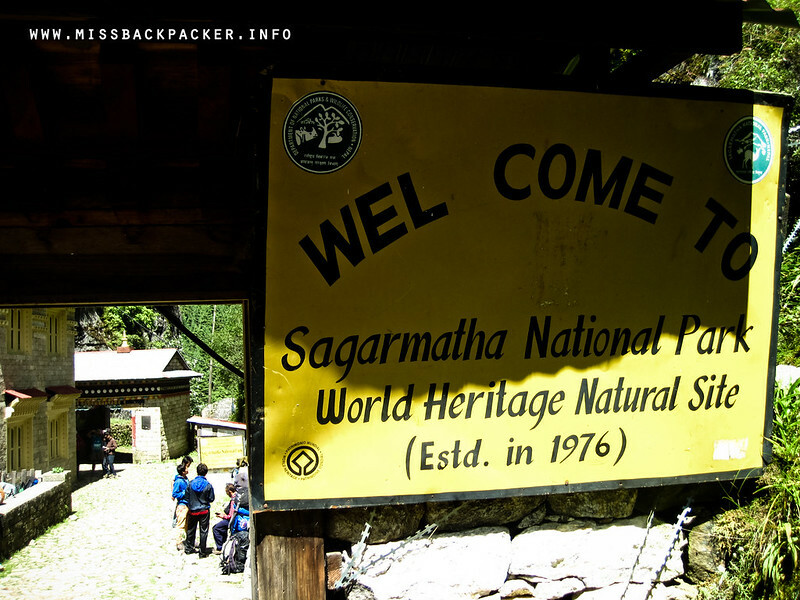 After moving past the small villages of Toktok, Benkar, and Chumoa, we reached Monjo, the gateway to the UNESCO World Heritage Site Sagarmatha National Park. We did a quick stop there so that our guide Bikal could do all necessary formalities at the entrance to the park. There’s a museum in this part of the trail providing a handful of information about the park but Bikal thought we were already late in our itinerary and going inside the museum would further delay our already-slow pace. He suggested that we move on and just drop by the museum on our way back from the base camp. We all agreed to skip the museum since it was nearing lunch time and we needed to reach the next village of Jorsale for our meals. Another UNESCO World Heritage off my checklist! 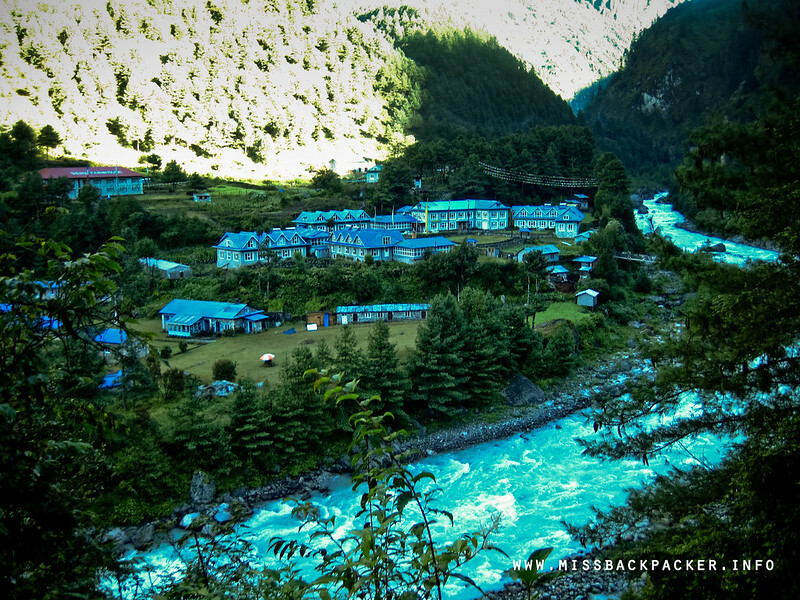 When we reached Jorsale, Bikal led us to a teahouse named Everest Guest House and River Restaurant with a tagline “This is the last village to Namche Bazaar 3 hours.” True enough, one must hike for three or four hours to reach the popular Namche Bazaar. We had our quick lunch there and resumed our trekking. 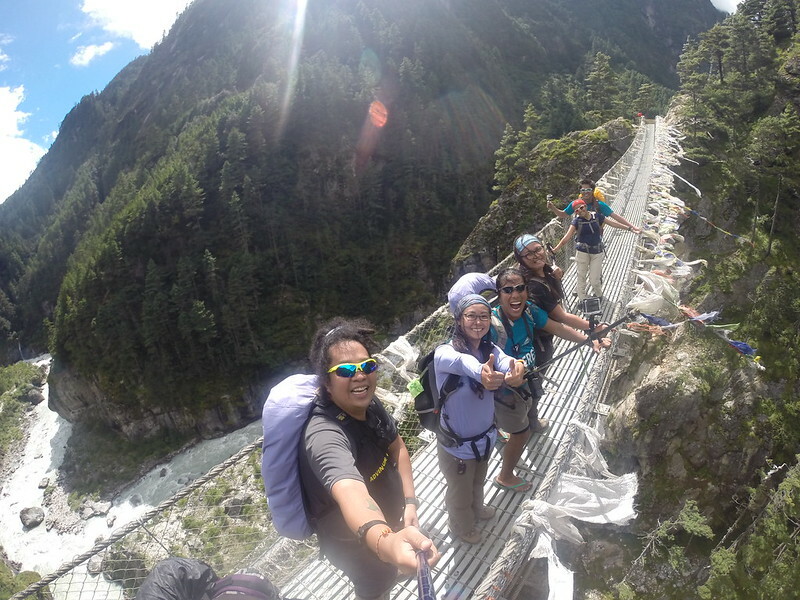 After an hour of gradual ascent, we finally laid eyes on the popular Hillary Suspension Bridge, the highest suspension bridge in the Solukhumbu Region of Nepal. The rushing Dudh Kosi River under the Hillary Suspension Bridge is really terrifying. Actually, there are two suspension bridges on the very same location, both of which are still functional and lead to the same trail. When we asked Bikal why are there two suspension bridges, he said the Hillary Bridge was built just so it can be named as the highest bridge in the region. Oh-kay, was hoping that there was a more logical reason for its construction. I used to dread bridges regardless of its kind—concrete, beam, log, or whatevs. But after our ABC trek, I kinda got used to it. Crossing the Hillary Suspension Bridge is a fusion of fun, fear, and fatigue. Fun because it’s an experience that many of us will never get to have. 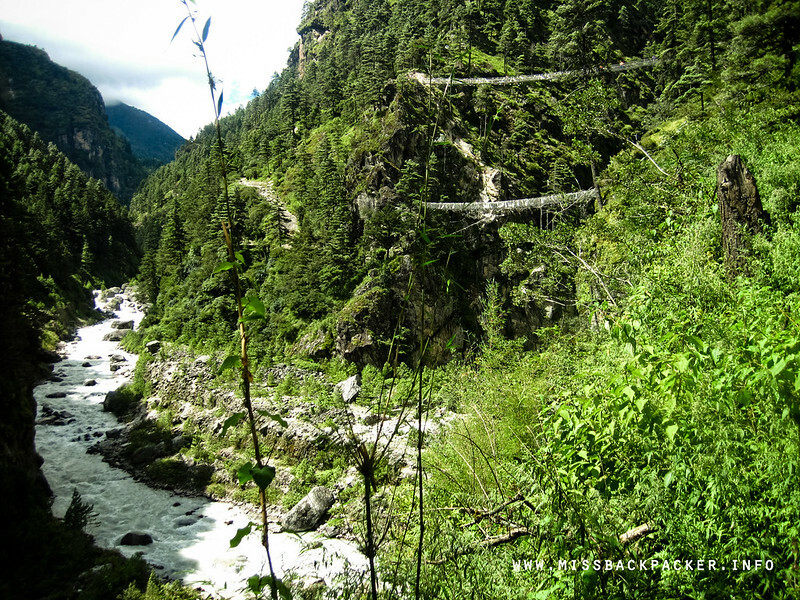 Fearful because wrong step will lead you stumbling down in the raging waters of Dudh Kosi. And tiresome because the end of the bridge that leads to Namche Bazaar is just steep plus the fact that you have to balance yourself because of the constant swaying of the bridge. We used all three GoPro cameras we have to record our fun-filled crossing of the bridge. 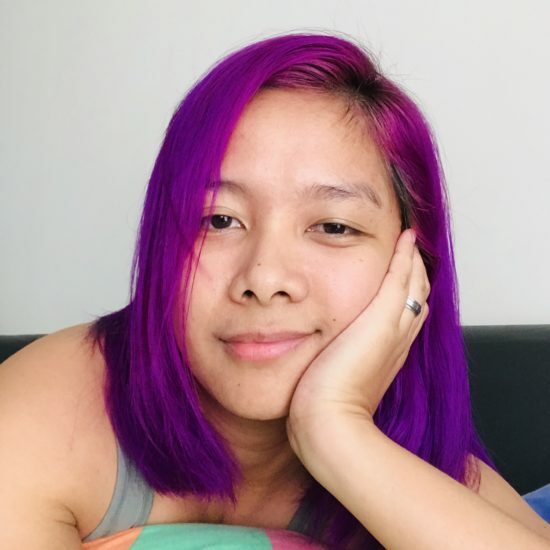 Here’s the shot from Rowjie’s camera. We were just shouting and laughing like crazy kids. I believe that when there’s happiness, there’s also sorrow. So when we reached the other end of the bridge, we were quite appalled by the kind of trail we would be walking into—killer, knee-breaking, and just hellish. End of the Hillary Bridge on our way to Namche. And that’s Dudh Kosi River below me. Namche Bazaar is still two to three hours away from where we were. Bikal said that we’re approaching the toughest part of the trail to our end destination for the day. 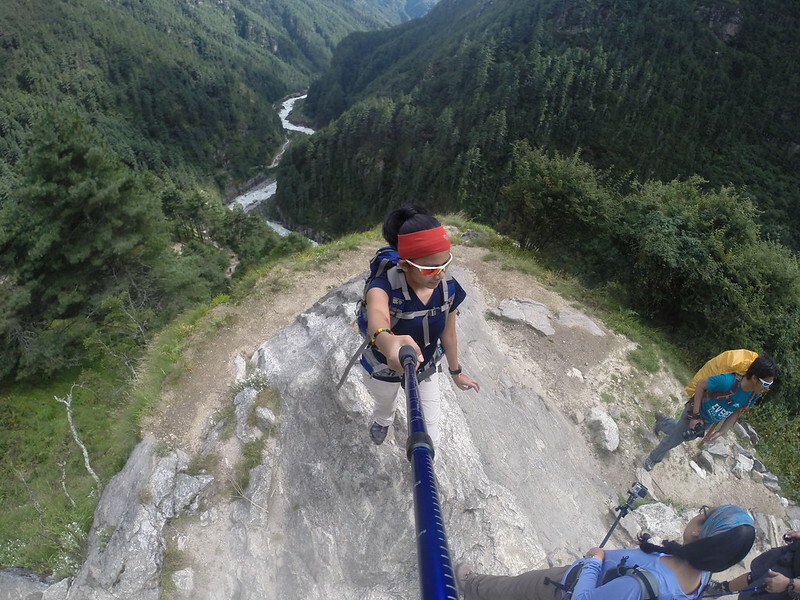 We braced ourselves as we started walking past the STEEP stone staircases leading to Namche. It was an agonizing two hours for most of us. When we finally reached the last phases of the “tough” part, I no longer wanted to walk. I just wanted to sit and sleep. Then Bikal, boosting up our spirits, said that the next phase of the trails would be gradual and a lot easier than the past two-hour worth of hiking. It’s already 3:30 in the afternoon. 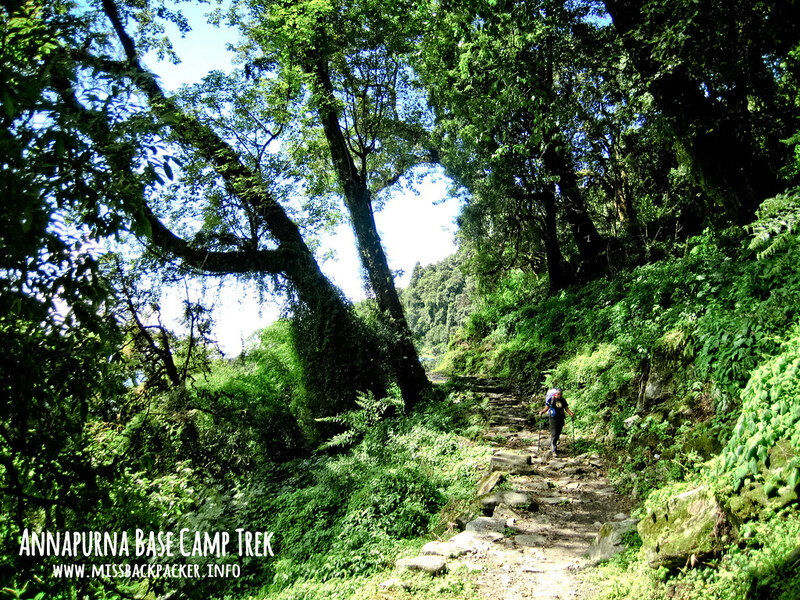 The trail now is similar to Dulang-Dulang’s, mossy and covered with trees and plants. That being said, the temperature started to drop. Doc Rhoda now complained of being cold and had her jacket on. We were also supposed to see Mount Everest behind Lhotse and Nuptse at this point but everything was covered with clouds. Another 30 minutes past and we could now see the famous village of Namche Bazaar. This was also the moment when I started feeling cold, uneasy, and lightheaded. I took out my gloves from my backpack and put them on. Rowjie asked me if I was feeling okay and that irked me. I sometimes don’t like being asked with that kind of question. Surprise, surprise. Also exhausted and put out with the way I reacted, Rowjie hurriedly walked past me without saying a word. Eto ang away na literally to the highest level. Most members of the team were already nearing our teahouse. I was left with Bikal and Doc Rhoda who wore another jacket and said she was close to fainting due to exhaustion. 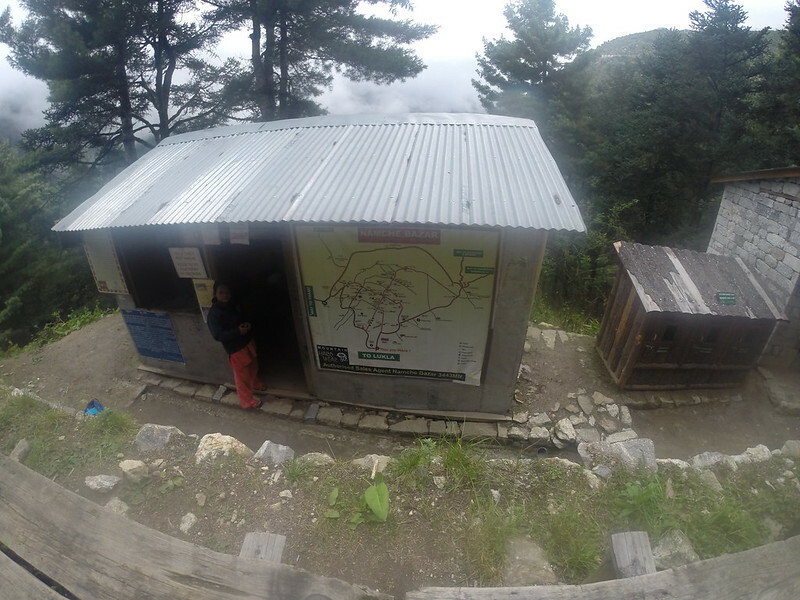 Bikal patiently pushed us, encouraging us that our teahouse is less than 30 minutes away. I was the last one who reached our lodging. I could no longer feel my cold hands. I went straight to our assigned room, threw up (again), put on two layers of jackets, and sleep. Rowjie never bothered to speak to me. Haha. I don’t know how long my sleep went. I just heard Rowjie waking me up, it’s dark now and I couldn’t see a thing but the light coming from his headlamp. It’s dinner time. I didn’t want to eat but Rowjie forced me, asked me to just sip a bowl of hot soup. I did, went back to our room, and slept again. Didn’t even change clothes. End of D2. Suka galore pa rin. CHALLENGES: Long walk with several occasions of steep ascents. An easy read! Lovely! During my experience, many trekkers actually said this trail to Namche Bazar is actually one of the hardest in the whole EBC trek.